If you use AutoLISP take a look at DOSLib. It has almost 200 useful functions. What's new in DOSLib 7.5? Supports AutoCAD 2008 (32 and 64-bit). dos_hatcharea - Returns the area of a hatch object. dos_hideobjects - Hides one or more AutoCAD entities. dos_hlstorgb - Converts an HLS color into RGB format. dos_isinsidecurve - Verifies a point lies inside of a closed, planar curve. dos_linetypebox - Display AutoCAD's linetype selection dialog box. dos_mergefiles - Merges two or more files into a single file. dos_msgboxchk - Displays a "Do not show this dialog box" message box. dos_plinecentroid - Returns the centroid of a closed, planar polyline. dos_rgbtohls - Converts an RGB color into HLS format. dos_showobjects - Shows, or unhides, one or more AutoCAD entities. dos_strformat - Formats string similar to the sprintf C-Runtime library function. dos_strformatcurrency - Formats a number as a currency string. dos_strformatnumber - Formats a number as a number string. dos_traywnd - Displays a popup tray window. As you might have noticed DWF Viewer is still around even though Autodesk Design Review is the big next thing. The image is from the AutoCAD 2008 installation. The DWF Viewer that is installed and mandatory includes Service Pack 1 and has Build version: 7.2.0.946. Here is a quick way to upgrade NLM for you Autodesk 2008 products. On the DVD your Autodesk 2008 product is delivered on the files needed are found to easily upgrade the license manager. There is no need to reinstall Autodesk Network License Manager. Now copy the 4 exe files adskflex.exe, lmgrd.exe, lmtools.exe, lmutil.exe from the DVD to your license server. Run lmtools.exe and start the service(s). If you do the above quick enough (stopping the service, copying the files and starting the service again) and is cool you can do it even when users are using AutoCAD. I don't recommend it but I have done it so I know it works. Recommendation is to do it at a time so you can recover the errors that might happen. Install the Network License Activation Utility. If you don't have internet access on the license server do it on your PC so you directly can connect and request a new license file or append to your existing license file the new feature. Start the Installation Wizard and select Install Tools and Utilities. When installed "AutoCAD 2008 Network License Activation Utility" or the like is found on the Windows start menu in the folders Autodesk>Network License Manager. When you have made the change to the license file go to the license server and stop the FLEXlm/FLEXnet service(s) using lmtools.exe. See the Start/Stop/Reread tab. Close lmtools. To easier and better control the license usage give JTB FlexReport a try if you are not happy enough with SAMreport-Lite. Create the deployment and test that it works before rolling out for all users. FLEXnet Licensing End User Guide is still version 10.8 so there is probably not much changed in the 11.4 version. The files adskflex.exe and lmutil.exe are still version 10.8. The files lmgrd.exe and lmtools.exe are version 11.4. The above raises the question if it really is needed to upgrade. At this point I don't know but it is so easy I recommend to do it. Feel free to contact me or add a comment below if you need some help or have some questions. Here is a great piece of freeware. AM-DeadLink detects dead links and duplicates in browser bookmarks and text files. If a bookmark has become unavailable you can verify and delete it permanently. Additionally you can download FavIcons for all your Favorites and Bookmarks. Related blog post about FavIcons in Windows Vista. The Content Preparation Progress dialog box shows "Please wait while the document is being prepared for reading" in Adobe Reader 8. This is useful if you use a screen reader or screen magnifier (mostly used by visually impaired users). If you like me don't want it, here is how to remove it and speed up Adobe Reader. When you open a PDF file next time make sure to select the checkbox "Do not show this message again". You will receive AutoCAD 2008 on DVD as well as other software's from Autodesk like AutoCAD LT 2008. If you want it on CD visit www.autodeskmediarequest.com. I think it should be available as download too. Maybe for AutoCAD 2009? For me it is because of ADN membership. How is it for subscription customers nowadays? Right click on a toolbar in AutoCAD 2008 and the command QuickCUI will be started. It opens up CUI (Customize User Interface) quicker but you will not see the actual toolbar that you right clicked on until you click on Customizations in ... pane (Customizations in All CUI Files as seen below). The CUI dialog box is displayed in a collapsed state. Only the Customizations in ... and Command List panes are displayed. The Customizations in ... pane is shown collapsed and the Command List pane is shown expanded. So the QuickCUI command is useful since it opens up quicker than the CUI command. Customizations in All CUI Files expanded and since I right clicked on the Standard toolbar that one is selected. To see everything click on the arrow in the circle at the bottom right. You don't end up on the button you right clicked on but close enough. Clicking on the link "Learn more about Impression" in the dialog box below it tried to open http://www.autodesk.se/impression-toolbar that is a so called 404 page, non existing. It should rather look like http://www.autodesk.com/impression-toolbar to make any sense but inform that it is not yet for your market. This technology preview is available only in Australia, Belgium, Denmark, Finland, Ireland, Luxembourg, Malaysia, Netherlands, New Zealand, Norway, Singapore, Sweden, and the United Kingdom. It appears you are accessing the Internet from a point outside the one of these countries, and therefore cannot access the download. We appreciate your continued support of Autodesk Impression. Let's see how quick this will be fixed. Not a good impression right now. If you want great high quality photo-realistic images RPC (Rich Photorealistic Content) is worth taking a look at and try. There are several free ones. Take a look at Archivisions website for AutoCAD & AutoCAD Architecture Users. Registration is needed to be able to download them though. Via IMAGINiT Architectural Solutions Blog that also mentions there are 500 free Multi-View Blocks for AutoCAD Architecture 2008. 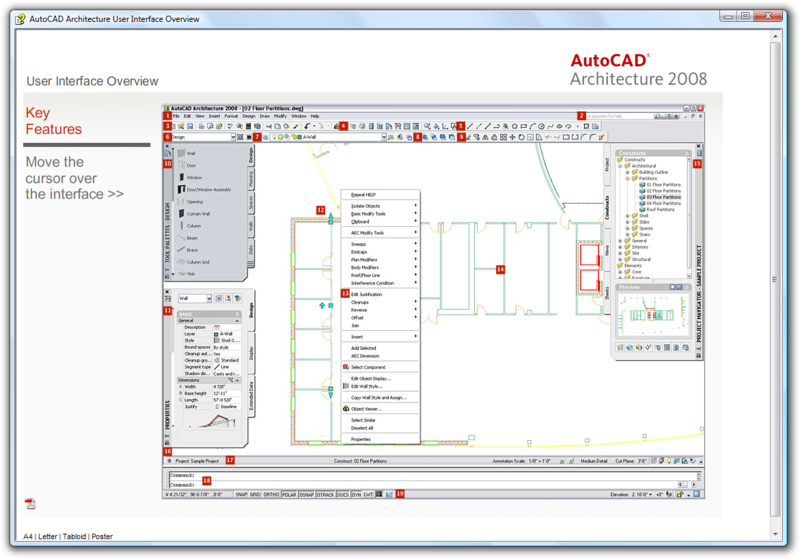 You might think that a new version of DWG TrueView based on AutoCAD 2008 has been released if you look at Autodesk's website http://www.autodesk.com/dwg. Use this FREE* download to accurately view, plot, and publish authentic DWG and DWF files. And now, DWG TrueView incorporates all the functionality of DWG TrueConvert. This means you can translate any AutoCAD or AutoCAD-based drawing file for compatibility with AutoCAD Release 14 through AutoCAD 2008. But you have to wait a little more for that. It is still the old DWG TrueView from last year that is there. But at least you can see what is coming. I mentioned about PDF preview handlers in a previous post. Here is a picture showing how an AutoLISP file with the LSP file extension is previewed in Outlok 2007. Here is a preview in Vista Explorer. The above was achieved without any extra coding. A simple registry hack made lsp files and other files to be handled just like plain txt files. Here is a sample reg file including some txt format files that are used by AutoCAD. CUS, DCL, LIN, LSP, MNL, MNS, MNU, PAT, PGP, SCR and SHP. This works for Windows Vista and Microsoft Outlook 2007. If you want other files to be handled like TXT files it is simple to edit the reg file and add or remove these. For example you might want to add CMD, BAT, VBS. Here is a snippet from the file. To remove it you can create a REG file with lines like this. 5. What is the price for Autodesk Impression and where can I buy it?Autodesk Impression is $495 per commercial license. It is available exclusively in the United States and Canada on the Autodesk Store at www.autodesk.com/store-impression. 6. Is Subscription available for Autodesk Impression? No, subscription is not available for Autodesk Impression. 7. Is there a student version of Autodesk Impression? Yes, a student version is available on the Student Design & Engineering Community as a free download. In addition, the community lets you search job postings, discuss projects, share work, and learn from the experts. Join today at www.students.autodesk.com. TenLinks, Inc. has launched a new service to create solid models called Innovate3D. Models can be created in Autodesk Inventor, Pro/ENGINEER or SolidWorks formats. This service is meant for anyone who has a need to create a solid model but doesn't have the time or resources to meet demand. For example, you may want to create a solid model from 2D drawings so you can find its mass properties, submit it for FEA, send it to be manufactured or to send off to tech pubs for a service manual. Please comment on what you think about this service. Notice the Terms and Conditions. It answered my initial questions when I got the email from Roopinder Tara. Only one free part per company per week. Service will monitor the number of free parts created and may withdraw or extend the offer after 500 free parts have been created. Free offer applies only to parts, not assemblies. Final determination of what constitutes a part or an assembly will be made by the service. Parts will be created based upon data provided. In the case of missing information, such as incomplete dimensioning, the service will attempt a "best guess" to complete the model. Too much missing information will result in delays. Order is considered completed when models are sent to the user. Revisions to model are the responsibility of the customer. Minor revisions may be implemented for free on discretion of the service, or for nominal cost agreed upon by user and the service. The service intends to create models in the fastest time possible. Extra time will be required for complex parts. Here are a couple of great Preview Handlers for PDF files. Foxit PDF Preview Handler as well as Adobe PDF Preview Handler. Another one is in this MSDN article. The code download for this article includes a framework that makes it a snap to implement your own preview handlers, and it provides several sample previewers (including previewers for PDF, XML, ZIP, MSI, BIN, CSV, XPS, and XAML files). If I had more time I would write one for DWG and DWF files. With the above code samples it's a quite easy task. What are File Previewers for Outlook? 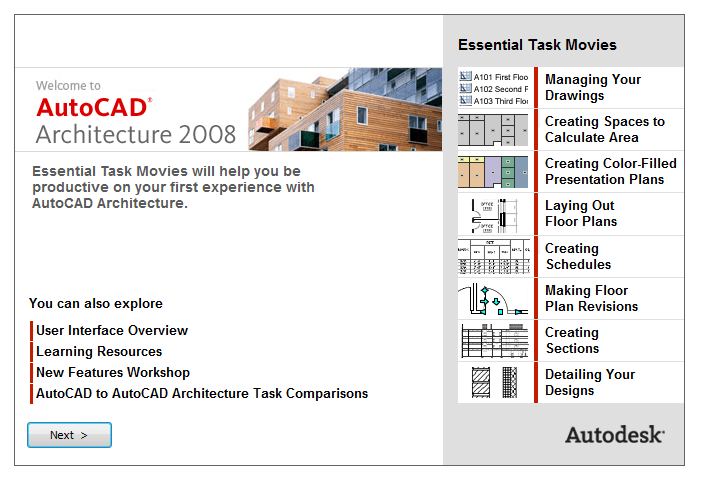 Here is more about AutoCAD 2008 on my homepage and on this blog. For those interested in ObjectDCL for AutoCAD and its future read the comment by the Vice-President of DuctiSoft Inc. to the post ObjectDCL for AutoCAD is open source. More written about ObjectDCL and OpenDCL is found here. If you want to be able to run AutoCAD 2007 on Windows Vista today look at this link below. But even if you don't use Vista there are other fixes in the SP2 that you might be happy about. Here is a useful Windows Vista tip. Select a file or folder, hold down Shift and right click. Some additional options shows up. Pin to Start Menu, Add to Quick Launch and Copy as Path. If it is a folder it also shows Open Command Window Here. The last one starts cmd.exe and navigates to that folder. I like the idea of Copy as Path. It copies the complete path to the clipboard but I dislike that it adds quotation marks around the path. I will post a solution for this later on that works in older versions of Windows as well. You need sound card on you PC to hear Amy Fietkau, Autodesk Architectural Desktop expert when running the following movies. The Essential Task Movies are later also available if you open Help and on the right below General Information you will find a link to them. 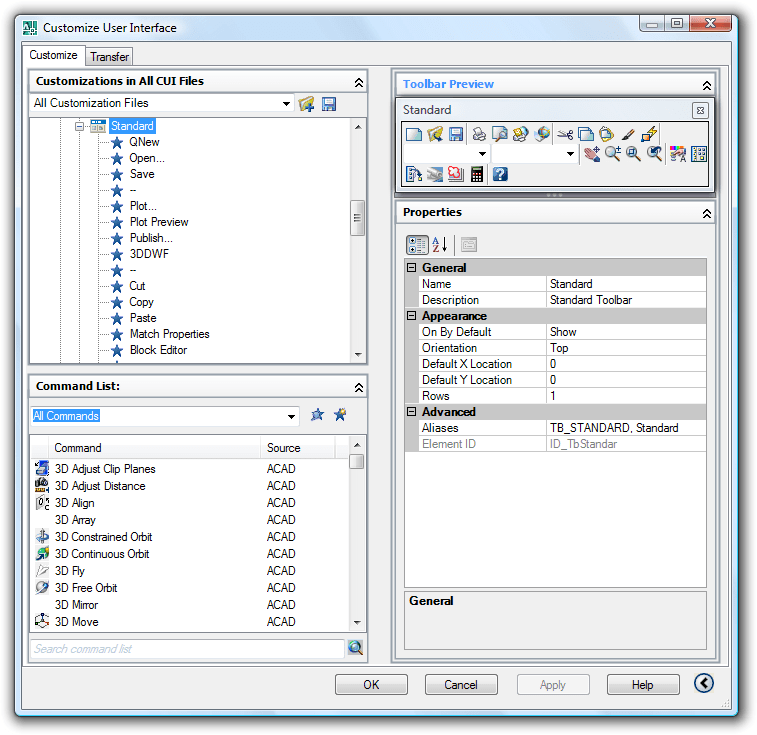 Shows a clickable image that describes the UI for ACA 2008. At the bottom there are links to create a PDF of the overview. The User Interface Overview is later also available if you open Help and on the right below General Information you will find a link to it. Learning Resources is available from the Help menu later on as well. This is one of the best ways to learn what is new in ACA 2008 compared to the older versions Autodesk Architectural Desktop 2007 (ADT 2007) and Autodesk Architectural Desktop 2006 (ADT 2006). New Features Workshop is available from the Help menu later on as well. This will open the Help file at the A Quick Start for Transitioning from AutoCAD to AutoCAD Architecture section and let you know for example that to create Space Plans in AutoCAD you use Polyline and Hatch but in ACA 2008 you use Spaces. If you have previously accomplished your architectural tasks with AutoCAD and want to transition to using AutoCAD Architecture, you will find that using tools specifically designed for architects provides additional productivity and benefits over the AutoCAD drafting methods you used before. This quick overview of tasks and how to accomplish them in AutoCAD Architecture can help you get an easy start. For additional information, watch short movies which you can find on the Welcome to AutoCAD Architecture 2008 page, the Learning Resources page, or the main Help page. To continue you need to press next. You will come to the Workspaces dialog box where you can select your initial workspace. If you don't want to see the welcome screen every time you start ACA you need to select "Don't show me this again". If you for some reason want to see it again you can run Options>System>Show all warning messages. Welcome to the world of ACA. I can truly recommend upgrading even though there does not seem to be as many new things as one wished. A great news in AutoCAD 2008 that we have been waiting a long time for is attributes that supports multiple lines. There is a new mode for "Multiple lines" in the Attribute Definition dialog box that you start with the ATTDEF command. -ATTDEF also supports multiple lines. After having created a block and you double click on it the EATTEDIT command opens the Enhanced Attribute Editor. As you can see the value cannot be edited directly. You need to click on the button with three dots to open the Multiline Editor. This is also the same for the old command ATTEDIT. This is how the Multiline Editor look like. Notice that a multiline attribute (MATT) as opposed to a singleline attribute (SATT) has some more options. A SATT has only the Insert Field option but a MATT is almost like a MTEXT object so you can also select Import Text, AutoCAPS, Combine Paragraphs, set Background Mask, Underline, Overline as well as set the width. Here you see usage of Background Mask that is only available for MATT's. There is also a new command for directly editing attributes. ATTIPEDIT displays the In-Place Text Editor without the Text Formatting toolbar and the ruler if you select a single-line attribute and with the Text Formatting toolbar and the ruler if you select a multiple-line attribute. But wait. There is more. If you set the system variable ATTIPE to 1 you get more options when running ATTIPEDIT. ATTIPE is set to 0 as default for best compatibility with releases prior to AutoCAD 2008. But if you set ATTIPE to 1 ATTIPEDIT displays the full in-place editor with almost all formatting options as you have with MTEXT objects. When a drawing is saved to AutoCAD 2007 or earlier, a multiple-line attribute is converted to several single-line attributes, one for every line of text in the original multiple-line attribute. The values can be edited. If the drawing file is opened in the current release, these single line attributes are automatically merged back into a multiple-line attribute. PS. If you really don't want your users to create multiline attributes you can set the system variable ATTMULTI to 0. All kind of attributes can still be viewed and edited though. CAD Geek KB. To preset attribute options before creating an attribute definition use AFLAGS and add 32 to the value to have it as a MATT. If you right click on a website in Internet Explorer and select Create Shortcut you will be asked. "Do you want to put a shortcut to this website on your desktop?" In Windows XP the shortcut made use of the website's favicon. But in Windows Vista as default it only shows the IE7 icon. But there is a solution. Right-click the desktop, point to View, and then click Classic Icons. The Medium Icons or Large Icons does not work. Not good. You can also use the scroll wheel on your mouse to resize desktop icons. On the desktop, press and hold CTRL while you scroll the wheel to make icons larger or smaller. Another thing is that the shortcuts to websites are different depending on how they are created. If you right click and select Properties>Web Document>Change Icon the path is as following. If you try to change the icon that is created as a favorite the icon will not stay long since a functionality in IE7 reads the icon from the website and updates it when needed. why doesn't the favicon for my site appear in IE7?why doesn't the favicon for my site appear in IE7? Update: comment by Jeff, Microsoft. Because the shell asks for 48x48 icons, but favicons are 16x16. Stretching them would have looked bad. This decision was made late in the IE7 cycle. Many people have complained and we are considering a fix for a future release. Please ensure Jetstream v5.1 or above is installed. **Please note, the ADT object enabler needs to be installed before the ABS object enabler. If you have graphic cards like NVIDIA Quadro FX or NVIDIA® GeForce® 5200 or higher you can download and run Gelato 2.1 from Nvidia for free. Download from the Gelato Zone website. The product is even for CAD, architecture use. No word about Windows Vista support so far. 3ds Max Plug-In: Gelato ships with Amaretto, a plug-in to Autodesk 3ds Max that reads scenes and objects created in Max. Autodesk Maya Plug-In: Gelato ships with Mango, a plug-in to Autodesk’s Maya modeling and animation software package that reads scenes and objects created in Maya. NVIDIA® Gelato® rendering software allows anyone with an NVIDIA GPU to create stunning images fast. 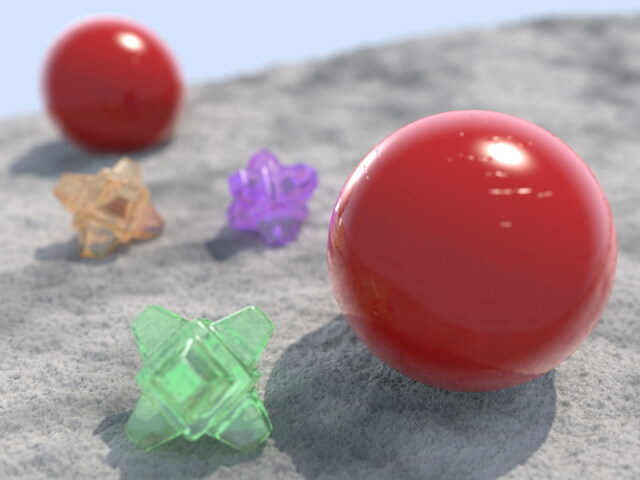 A hardware-accelerated, non-real-time renderer, Gelato was originally designed for the creation of 3D visual effects and animation in feature films. But Gelato is a powerful tool for any number of industries, including film & broadcast, CAD, architecture, and print. Gelato is a software program that leverages the NVIDIA GPU as a floating point math processor. This allows Gelato to render images faster than comparable renderers, but without the quality limitations traditionally associated with real-time graphics processing on the GPU. Yes, Gelato is available free of charge. Now students, freelancers, startups, and small studios can take advantage of a high-end renderer with the capabilities of renderers costing thousands of dollars. Gelato Pro is available for purchase for US$1500 per node, including the first year of maintenance and support. Now with the improved rendering functionality in AutoCAD 2008 I leave it to the rendering pros like Ted Boardman and others to decide how useful Gelato is if you already have AutoCAD, 3ds Max or Autodesk Maya. 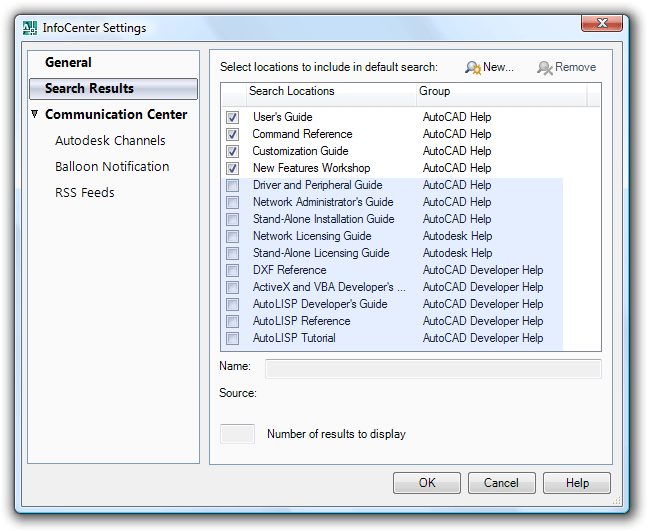 If you in AutoCAD 2008 right click in the new InfoCenter search box at the top right you will notice these options. What is IME? IME stands for Input Method Editor. 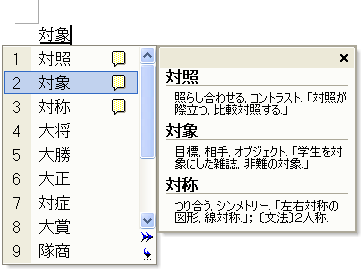 An IME is a program that allows computer users to enter complex characters and symbols, such as Chinese, Japanese, and Korean characters, using a standard keyboard. This image shows advanced IME for Japanese. If you try to view an old .hlp help file in Windows Vista you will get this information showed. Why can't I get Help from this program? For more information, see Windows Help program (WinHlp32.exe) is no longer included with Windows on the Microsoft support website. But this website above was not much help at least until it gets updated within a few days. But now there is a download available from Microsoft so these old .hlp files can be viewed. But a notice for developers. The Windows Help program cannot be distributed. Get rid of your old .hlp files and upgrade to .chm, .html or the like. There are not many .hlp files around but if you find one you know there is a way to see them in Vista as well. I searched on my computer and found some .hlp files that where installed together with AutoCAD 2004 that I managed to install and run on Windows Vista. If you wonder where the cover image on the AutoCAD 2008 box is taken it is from McCormick Tribune Campus Center in Chicago, IL. The architectural design is by the architect Rem Koolhaas of OMA (Office for Metropolitan Architecture). The design includes a concrete and stainless steel tube (seen on the cover image) that encloses a 530-foot stretch of the CTA elevated railroad tracks, passing directly over the one-story campus center building. The tube dampens the sound of trains overhead. But was it done using AutoCAD? Google Blog Search can be useful if you want to stay informed on new blog posts on a specific subject. 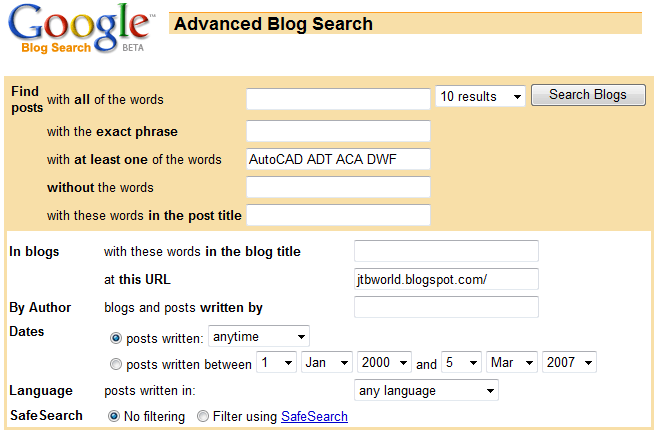 Let's say you want to find blog posts with at least one of the following words (AutoCAD, ADT, ACA and DWF) on this blog or some other blog. Use the advanced blog search. And here is the RSS. An Atom feed is also available if you for some reason prefer that. Here is the result of the Google Blog Search and the Blogger Blog Search with the same result but a different look. 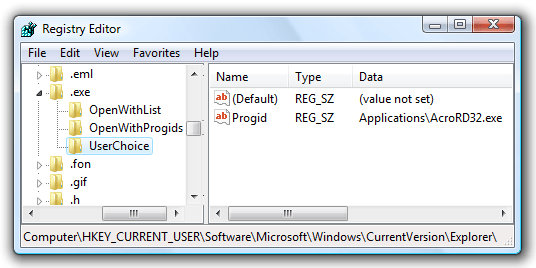 I posted about ADT/ABS List Definition freeware a while ago as well as the ADT/ABS List Definition freeware tip and today when I was reading through AUGI I found that it was the Tip of the Month. Thanks! Not sure what month but that doesn't matter. If I don't forget it I will post an updated one that will work even better for ACA 2008 and AMEP 2008 as well as something about how I did it using VB.NET. I will also make use of a new thing in the API for ACA 2008 that was missing in the API for ADT 2007. Feel free to remind me if I forget it. I noticed yesterday that two new Autodesk discussion groups have been added. Don't worry the new software is soon to arrive. More about AutoCAD 2008 (AC 2008). 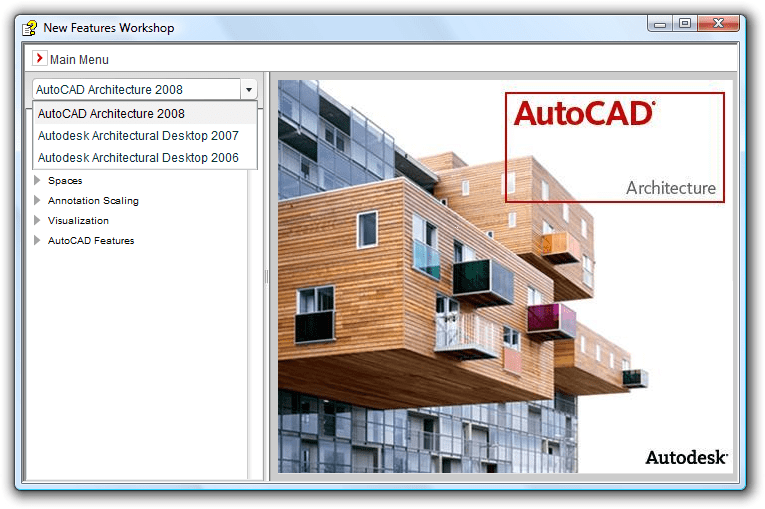 More about AutoCAD Architecture 2008 (ACA 2008). Welcome to the new AutoCAD Architecture Forums. We have reorganized the categories to make if faster and easier to find the information you need, and think this will be a more effective way for you to communicate with fellow users on a variety of topics. - Architectural Desktop 2007 & Prior: This area is for general discussions on the 2007 or earlier releases. Please add the software version in Subject when posing to this group. - AutoCAD Architecture Visualization: All releases: Place to discuss all visualization related questions. Have you lost your .EXE file extension association in Windows Vista? "I have problems to start all programs that has the .EXE extension!" "My programs are broken!" "What happened to my .exe file extensions?" "I cannot run Regedit or do a System Restore!" "I'm unable to launch..." "I have an EXE file problem, the EXE does not execute"
You have probably tried to open an .EXE file with something like Adobe Reader, Internet Explorer, Notepad or the like. This results in having the .EXE file extension corrupted. Now you really have problems since most every program requires access the exe file association to work. But there is no need to panic. If you have this problem the solution is not the same as in previous Windows versions. Below you can see what have been added to the registry after Acrobat Reader (AcroRD32.exe) has been associated with .exe files. 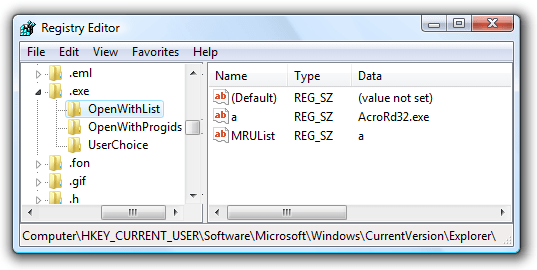 They need to be removed but since you cannot run regedit.exe you need to use a .reg file like one of those below. Here are some registry files that should be able to fix this problem. Download one of them and save it locally. Double click on the file and when asked "Windows needs your permission to continue" "Registry Editor" it is to give permission to start regedit.exe. Click on Continue. Then the Registry Editor will warn you again and click on Yes to add or merge the content of the reg file to the registry. You need to be an administrator to apply these fixes. Here is the content of the above file. Copy the three rows below to Notepad and save to a file with the file extension reg. Here is the content of the above file. Copy the five rows below to Notepad and save to a file with the file extension reg. If the above ones does not help here is a more thorough one. And if nothing else works you can try this one. To see the change of the icons you might need to log out or restart the computer. But the file association should work directly. If you want to reproduce the error save the below rows using Notepad to a .reg file. If You Are Unable to Start a Program with an .exe File Extension in Windows XP take a look at this knowledge base article from Microsoft. In this case a virus is the cause of the problem. Windows cannot find FILES32.VXD. This program is needed for opening files of type "Application". Your desktop may appear to be blank. Also, the problem occurs many times when you restart your computer. Even after an anti-virus program has indicated it has cleaned the virus, the registry entry described in the "Resolution" section of this article is still in the registry. Another KB is also for Windows 2000. Windows cannot find FileName.exe. This program is needed for opening files of type "ProgramName". This problem probably can happen also in Windows 7. This webcast is covering AutoCAD, DWG Data, DWG TrueView, RealDWG+HOOPS, AutoCAD OEM, DWF Publishing, DWF Toolkit, DWF Viewer and Project Freewheel. Helps to select the technology for your purpose. I have used RSS Bandit as a feed reader for many years and before that Bloglines. But due to some long standing bugs in the previous version I gave Google Reader a fair try and I must say that it is really good. Now RSS Bandit v1.5.0.10 is released and fixed these problems. Getting used to Google Reader I'm not sure I will use RSS Bandit for a while anyway. I've installed it and tried it and it is much better than before. I also tried the previous version of Attensa for Outlook but did not like it at all for the way I read feeds. There is a new free beta of Attensa for Outlook 2007 but I don't feel like trying it right now. Here is a solution to show wipeouts in DWG TrueView 2007. At least for those with AutoCAD 2007. But what for those that does not have AutoCAD 2007? Is it legal or OK to redistribute AcWipeoutObj17.dbx? You opened a drawing with DWG TrueView 2007 and noticed that the wipeout objects were not displayed, as they are when you open the drawing in AutoCAD®. The ability to display and plot wipeout objects in DWG TrueView 2007 is not available by default. However, you can add this functionality to DWG TrueView 2007 by copying the AcWipeoutObj17.dbx file from the AutoCAD® programs folder, located at C:\Program Files\AutoCAD 2007, to the DWG TrueView programs folder, C:\Program Files\Autodesk\DWG TrueView. Not really Vista WOW but it's great anyway with the AutoCAD 2008 support for these large previews in Vista. DWG as well as DWF has up to 256 x 256 size thumbnails. It's useful to be able to switch to preview to quickly visually find the drawing you look for. Notice how the DWF also shows Shet Name, Sheet Size and Number of Sheets. Live OneCare cleaned something but what and where? Using Windows Live OneCare on Windows Vista it found a potentially unwanted software. Trojan JS/Redirector.A that it alerts with the severe level. The problem with OneCare here is that it is not much information about the problem. Where is this found and what is it? Brave enough I selected Clean all to see what happened. Still clueless as you can see. I contacted Microsoft Online Support Service and was pointed to Windows Live OneCare Support Log. I had looked for a way to view the log but it seems that it has to be created first. Under Common Tasks (Quick Links), click Change OneCare settings (Change settings). On the Logging tab, click Create support log. Looking at the log file now at least after it is done I know what happened. So the wish for the next OneCare version is to be able to see what file is affected. I run a scan using a-squared Free 2.1.0.12 on Windows Vista and found Trace.File.PC Tattletale with the trace: C:\Windows\system32\winload.exe. The only problem is that winload.exe is the boot loader in Windows Vista and should not be removed just like that. winload.exe is also the name of a spyware program, PC Tattletale. This program has nothing to do with the Windows Vista startup process. According to an email I got from Andrea Andreetti ObjectDCL has been sold. We will se how it goes with OpenDCL and the efforts to keep it free. www.Ductisoft.com will be up in 2 or 3 week and ObjectDCL will be ready in around June 2007. No price disclosed so far. Martin Leduc P.E. and I, Andrea Andreetti, Are founders of DuctiSOFT inc. and are now owners of all legitimate and legal rights of this product created by M. Chad Wanless, according to the legal agreement signed between the two parties. This transaction is to ensure the survival and proper operation of ObjectDCL. Thanks again M. Chad Wanless. Hoping you will enjoy the upcoming version. OpenDCL as well as ObjectDCL is for AutoLISP programmers who want to replace AutoCAD's limited DCL (Dialog Control Language) user interface language with a rich set of modern Windows user interface elements. As a CAD Manager, developer or the like notice that you probably want to include some other search locations that are not searched by default like Network Administrator's Guide, AutoLISP Developer's Guide and the like. You access InfoCenter Settings at the top right of AutoCAD 2008. I run into this report by Pfeiffer Consulting on Windows Vista vs. XP and Mac OS X that among other things mention mouse precision. Something that every CAD user knows how important it is. As far as Windows Vista was concerned, it was important to conduct the necessary benchmarks to compare the new release with currently installed versions of Windows. In the light of the results, the core recommendation coming out of this research is simple: before deciding on an upgrade to Windows Vista, it seems wise to conduct thorough productivity analysis in a concrete workflow situation to see if User Interface Friction here would negatively impact overall efficiency. This is particularly true in creative industries such as design, publishing and photo retouching, where mouse precision is a major concern. Overall, Mac OS X remains the most fluid environment of the three systems tested. Mouse precision is obviously essential for any task where precise positioning of the cursor is essential> this is the case in graphic design, CAD, retouching, page layout and web design, among others. The result below is according to the test report not hardware related. I've not been using Mac OS X but I don't feel there is any difference between Vista and XP when it comes to the mouse.